We have been traveling for 2 years and this is my favorite RV Park. Situated near small town of Fries and New River State Park. Nestled into valley between mountains. Very natural. Gurgling brook at most sites. Very clean and comfortable. Small RV park. No cell phone service but easy WIFI hook up and owner shows how to use WIFI for cell service. Close to larger town of Galax. 50+ miles of trails. Must use wifi for cell service. Excellent wifi and cable. Cheaper winter rates. Walk the trails. Go into town of Galax. Park owner has excellent recommendations for Italian and Burger. Hillsville is 20 miles away. Many small towns to visit. 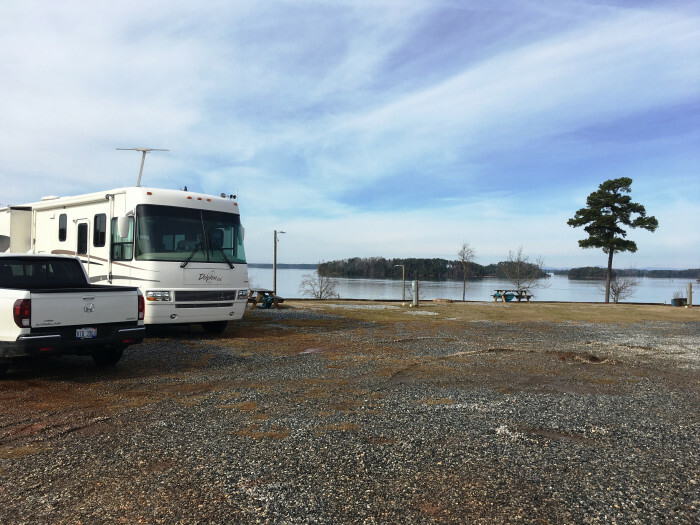 We camped at Fries New River Trail RV Park in a Motorhome. The rate is based on monthly rate over 28 days. This is a small park. Is combo marina and RV park. New owners of marina added RV park. 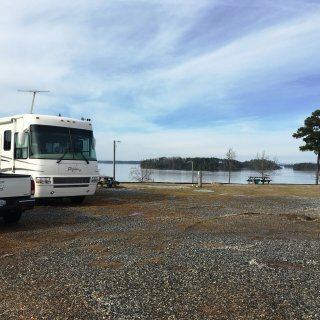 RV section is a circle on top of a tall hill overlooking Hartwell Lake. Very roomy sites. Combo gravel and grass. The view is what makes this park great. Nice people good unsecured wifi. All sites are back in and located in a semi circle. No problem parking if park is not full. 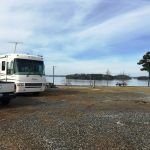 We camped at Big Water Marina and Campground in a Motorhome.